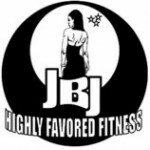 Highly Favored Fitness, llc | "Get SELFISH About Your Health"
My name is Jenette B. Jackson and I am a personal trainer in Bloomfield, CT. Hopefully your review of my website is that of Divine Appointment only. 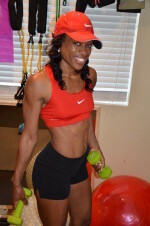 I am the Founder and Owner of Highly Favored Fitness, LLC (Founded September 2012). Highly Favored Fitness is my God-Inspired vision and plan. In my obedience to God’s Plan, I walked away from my 18 year career as a Master’s Degree Human Resources Director to the role(s) of: Mother, Motivator, Certified Personal Trainer, Certified Fitness Minister, Co-Promoter of the OCB Natural New England Championships – Masters & Open Pro Qualifier (Next Scheduled to Commence May 25, 2019); Triple-Pro Athlete in Bikini, Figure and Bodybuilding, Mentor, Co-Founder/Prior Co-Owner of Transformed Health & Fitness Ministries, LLC (no longer affiliated), Founder of Team Divine, Divinely Designed Bodies, Girl’s Fitness (Plus) Club for girl’s ages of 13-17 and Founder/Owner of W.E.I.G.H.T. (Women Empowered & Inspired to Get Holistically Transformed). Now, I’ve been blessed to work in both my passions, Human Resources and Personal Training (#HRbyDayTRAINERbyNight). If you are looking for someone to encourage you and help you achieve your holistic-fitness goals, look no further. My primary focus is on Women and Girls and helping you achieve your fitness goal through a holistic approach to healthy living and to prove to the masses via my own fight and journey, that you can do ANYTHING @ ANYTIME and definitely @ ANY AGE! Have a look around my website and get to know me. Tell me about your fight so that I can pray for you and fight with you! OCB NATURAL NEW ENGLAND CHAMPIONSHIPS – MASTERS & OPEN PRO QUALIFIER!!! SCHEDULED TO COMMENSE MAY 25, 2019 – CELEBRATING 5 YEARS! !! *OFFERING NOVICE, MASTERS 60+, MASTERS 50+, MASTERS 40+ (PQ), OPEN (PQ), IJOURNEY, FIT MOM & HEROES!! !